Am I An Engineer? : What is the cost of...? Cool as he is, Bruce Wayne was born with a silver spoon albeit his tragic past. From his training in his adolescence leading right up to his vigilante days, he did not go through his life without spending a dime. For his crime fighting double life, he needed an armory consisting of mostly unconventional weapons with bat motifs, and this means each and every one of them are designed, prototyped and fabricated without the aid of mass production nor ROI (return of investment). Certain costs are not taken into consideration in designing and fabricating Batman's items. For one, there would not be labor costs as nobody can make his gadgets since his identity is supposed to be a secret. No mass manufacturing is required as well, and without this concern, he could definitely simplify or even fine tune each of his gadgets to met specifications. 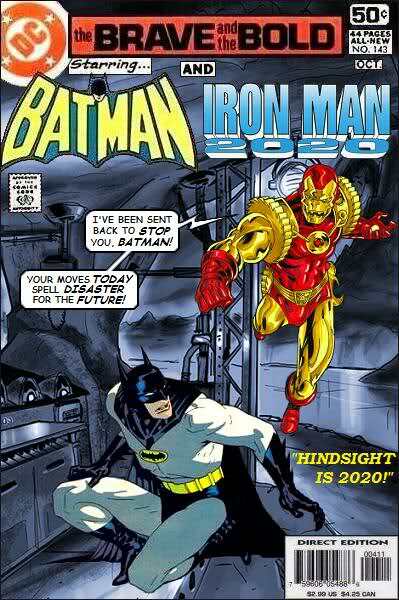 Competing against DC's Batman is Marvel's Iron Man. Both shared a lot of similar traits - both are rich, both have no super powers, both are geniuses, both created their own gadgets, both own listed companies, etc. But even though Bruce Wayne has his share of Bat-somethings, Tony Stark's armament of Iron Man suits, up to and including War Machine's armor, costs more than the former's armory, collecting a whooping $1.6 billion to become the man in a titanium-gold alloy suit. In hindsight, calculation of being Iron Man included his personal sports car, which has nothing to do being the hero himself. Marvel's hero uses more advance gadgets compared to Batman's more primitive ones. The former's arsenal are mainly electronic and computer-aided base whereas the latter relies more on mechanical means to achieve his goal. For an engineer like me, I would still prefer a more mechanical means if I were to fight crime. Crime fighting is a dangerous business and I would not want myself to face a system crash while the Mandarin is trying to take my life. But then again, it would be superbly difficult not to have a computer to help perform trivial tasks parallelly to speed things up in the heat of a battle. Talk about dilemma. Now comes the more interesting and more related topic: how much would be needed to build a Death Star? Centives.net performed the estimation for fun and presented an estimation of about... $852 quadrillion! But even with such an astronomical figure, this is still an underestimation as the estimation is based on amount of steel employed in fabricating the WMD. So what else should an engineer take into consideration if he were to build a Death Star so that he will not risk death at the hands of either Darth Vader or Emperor Palpatine? Labor cost: Unlike Batman or Iron Man, building a Death Star is not and could not be completed alone. Even with Wookie slaves, there will be need for security personnel, army personnel, supporting personnel, technical personnel and the likes. They will need to be paid for accordingly, and if they are considered as working off-planet and in hazardous condition, they may even need to be covered by insurance. Process cost: Tony Stark may have the ingenuity to invent Iron Man suits with Jarvis and Bruce Wayne could ask his butler to help fabricate his gadgets or buy off-shelf, but neither method could work with building a space station. Steel does not just hold onto each other nor will it withstand the vigor of constant use. Welding, painting, coating and other secondary processes will be required, and all this doesn't come free of charge. Equipment cost: You can't just out steel together and expect them to emit a planet destroying laser. Even Iron Man need Jarvis and Batman his Bat-computer. There will be need for hangar, high-power laser emitters, deflector shield generators, tractor beam emitters, ion and hyperdrive engines, and of course, the planet destroying laser emitter in a crater among others. I bet any one of these cost more than the most advance Iron Man suit. A good thing about building in space may be the lack of cranes to overcome gravity but some other supporting structure will still be required for the construction. Logistics cost: Even if you manage to secure those tons of steel, they don not come to your doorstep. You will need to calculate the cost of transporting them to the Death Star site, which will depend on number of trips and distance to site, as well as transport used. You will also need to bring your personnel, equipment, and not to forget, Wookie or other slaves, to the build site. In a nutshell, more costs. R&D cost: Even a genius like Bruce Wayne or Tony Stark could not conceive all the technology required for realizing a Death Star. Each part of the gigantic space station is a new technology unto itself, and it will require hours upon hours of research and making sure each problem is resolved. Even with the help of digital mockup and automatically generated CAD data from Jarvis, Tony Stark still need to run hours of tests to make sure his hand beams work perfectly. And this is a space station we are talking about. More money. There will be more that needs to be covered within a quotation for engineering such a feat as the Death Star but the above are just to show how much was not within the consideration of Centives' estimation, as well as how much an engineer estimating for quotation need to research before producing a figure. 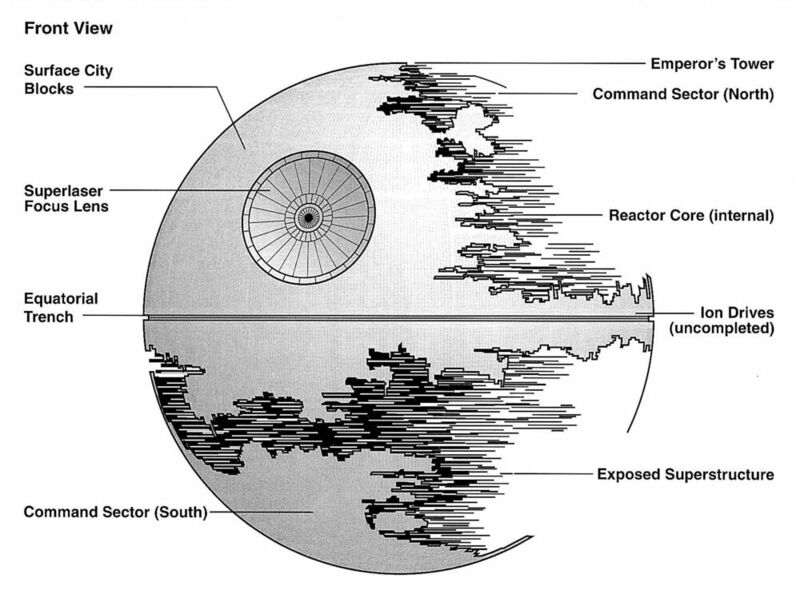 Still, some usual engineering consideration will not be required for the Death Star project. With Sith Lords presiding, workplace safety, workers' welfare, union strikes and labor recruitment will not be part and parcel of a project manager's list of worry points.